WCASI abides by the ASA|USA rulebook with modifications as noted below. ASA|USA also has more rules and clarifications than what is listed below. ASA|USA rule books are available free of charge to registered WCASI teams, at the WCASI office. 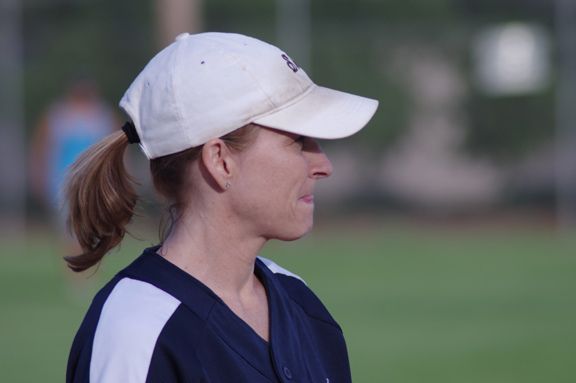 A team has the option of allowing ONE designated player (DP-batter) to use a designated runner (DR) during the course of a game. The DR will be the last out, similar to the courtesy runner rule. The player using the DR may also play defensively at any position or remain in the batting lineup only as an offensive player. The use of the DR must be announced prior to the start of the game to the plate umpire. If not declared prior to the start of the game, the team may not use the DR. The DR will position them self as an extension of the third baseline and stand behind the catcher and umpire with one hand in contact with the wall or screen of the backstop. The DR may not release their hand from the backstop until the ball is hit. If the DR leaves early, it is an appeal play by the defensive team. If the defensive appeal is upheld, the batter will be out. The DP-batter, after hitting the ball, will make no attempt, either intentionally or unintentionally, to confuse or deceive the defensive players. If, in the judgment of the umpire, the DP-batter creates interference after hitting the ball, the DP-batter will be called out.The DR may not interfere with the catchers attempt to field a foul ball. If in the judgment of the umpire, the DR creates an interference, the DP-batter will be called out. If the last out courtesy runner is on base when the DP-batter come to bat, the DP-batter will not be entitled to use a DR without having the courtesy runner vacating the base thereby creating an out. Courtesy Runner Rule: The last out (most recent out, not necessarily the last batter) will be the courtesy runner. NO EXCEPTIONS. If the courtesy runner is on base when his/her turn at bat comes, an out will occur. Teams abusing the courtesy runner rule may be subjected to loss of use of a courtesy runner and/or forfeit the game. If there are no outs (first inning only) the runner shall be the last batter in the batting order. MIXED LEAGUE: The courtesy runner must be of the same gender. Illegal player penalty: If a team is caught playing with an illegal player, the team will lose that game AND they will lose their previous two (2) wins. Any second offense of using an illegal player will result in the team's removal from the league. The win/loss standings for other teams will not be affected. An illegal player is a non-rostered, non-added player playing under another player's name. The illegal player will be suspended from further play for any team for a seven (7) day period. A second offense, or playing during the suspension, will result in the suspension of the player for the remainder of the season. Illegal bat penalty: If a batter enters the batter’s box with an illegal bat, that batter is out. The bat will be taken out of play. If the bat has been altered, the batter and owner of the bat will be ejected from the game. Thereafter, any team member who enters the field of play with an illegal bat or altered bat will be disqualified from further play in that game and the team will forfeit that game. Alcoholic beverages are not to be consumed during the game, in the dugout or outside the dugout. Anyone found drinking any alcoholic beverage during his/her game may be disqualified from further play in that game and may face suspension from future games. If player(s) are warned, then continue to drink, a forfeiture of the game may occur. Proof of Walnut Creek residency is required for all team members using a Walnut Creek address on a team's roster. See Sec. 11(3). ALTERED BAT: If a player is found to be using an altered bat, resulting in injury or death to another player, umpire, or fan, the bat owner or user may be held liable for such actions. Civil or criminal penalties may apply. 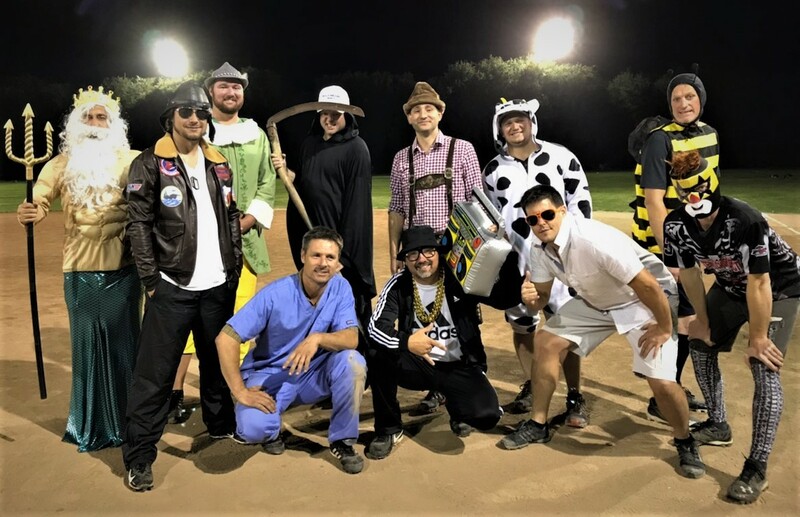 All Walnut Creek Adult Softball, Inc. (hereafter, known as "WCASI") sponsored programs are operated in accordance with the policies of the Walnut Creek Parks and Recreation Commission, Walnut Creek Leisure Services Department and the Walnut Creek Adult Softball Board of Directors (hereafter, known as "The Board"). An entry fee and applicable non-resident fees and assessment fees will be charged to cover the cost of the program and will be due on The Board designated date of WCASI League registration. The team roster must list each and every player. Team rosters must have a minimum of 10 players. Non-playing managers must also sign the roster but will not be included in the totals. 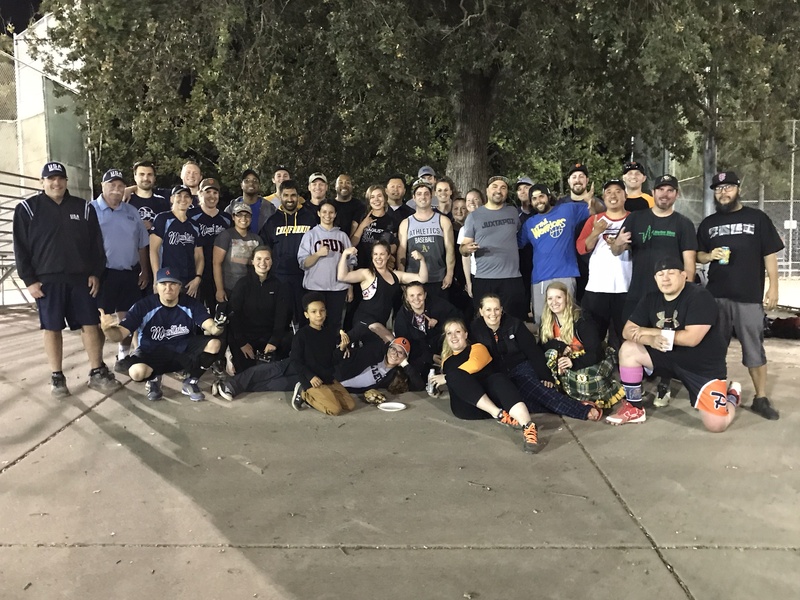 Every member on the team roster must sign an Agreement and Release of Liability form prior to playing in any Walnut Creek Adult Softball game. Failure to do so will result in automatic forfeiture of each game in which the violator(s) participated. Additional players may be added by the following method: The player or his/her manager submitting, by hand, a WCASI roster addition form in duplicate directly to the Commissioner, Asst. Commissioner or WCASI representative in the Commissioner's office with the applicable fee . Roster additions must be complete and delivered personally. Any incomplete roster addition form will be returned to the team manager and the added players will not be considered eligible players until the form is completed. Incomplete additions (including non-payment) may result in disqualification of that player from further play. If a players is to be added for only one game there will not be any charge. Players may be added to a team up to and including the team's last scheduled game. Summer league: All players on a team qualifying for playoffs (post-season play) must play in at least five (5) league games to qualify for post-season play. Fall League: All players on a team qualifying for playoffs (post-season play) must play in at least two (2) league games to qualify for post-season play. A player may not play on two different teams, in the same division, on the same night. EXCEPTION: Commissioner or Asst. Commissioner has the authority to make exceptions to this rule for the good of the league, on a case by case basis. Forfeits shall be called for non-appearance and tardiness, and may be called for flagrant violation of rules and regulations of the league. After a team's third forfeiture, (or second no-call/no show) (second forfeit in the fall season) the team may be suspended from league play for the remainder of the season. If suspended from league play, league fees, of any amount, will not be refunded Note: (See Section F). A minimum of eight players are required to avoid a team forfeit. Should any forfeited game be rained out, that game will not count and will be re-scheduled. EXCEPTION: The 6:00 p.m. games scheduled for Monday, Tuesday, Wednesday, Thursday and Friday, ONLY, will be allowed a 10-minute grace period. If used, the 10 minutes will be taken off the game time. Borrowing players: A team having only seven (7) players at game time may borrow one (1) player, if necessary, from the opposing team, to prevent a forfeit. No more than one (1) player may be borrowed and must remain the same player throughout the game. The borrowed player MUST be from the opposing team and ONLY with the approval of the opposing team's manager or representative. If the game is played under these circumstances, all other rules apply and the game result will stand. Protests of any sort regarding this rule will not be considered. The borrowed player may return to their original team at any point, at the end of their lineup, during the game should enough players from the borrowing team arrive during the game to fill out a legal line up (8 players). The courtesy catcher rule applies. The purpose of this rule is an attempt to prevent a forfeit and have a legal game played. The implementation of this rule is dependent solely upon the request and permission of the managers or representatives. An individual may play for more than one team in this association as follows: Individuals may play for more than one team as long as they are registered on each team with appropriate fees paid and remain in one league classification, i.e. A,B,C, or D. AND in separate divisions. Teams playing with any non-rostered player(s) may be subject to forfeiting all games played. Teams may play on more than one night as long as they stay in the same classification. NOTE: A player may play in two different classifications in 2017, if that player was on the rosters of two same classified teams in 2016 and one of those teams changed classifications in 2017. See below for other exceptions. A player may not play on a team more than one classification difference when playing on a coed team and a men's team. All games in which any discovered player has participated may be forfeited and that player may be removed from one or both rosters. NOTE: FALL LEAGUE: Players may play on more than one team in a division only if the player was also on the summer league roster for each team. Scheduling conflicts due to playing on more than one team in this league or in any other league or tournament will not be resolved by WCASI and will be solely the responsibility of the player. 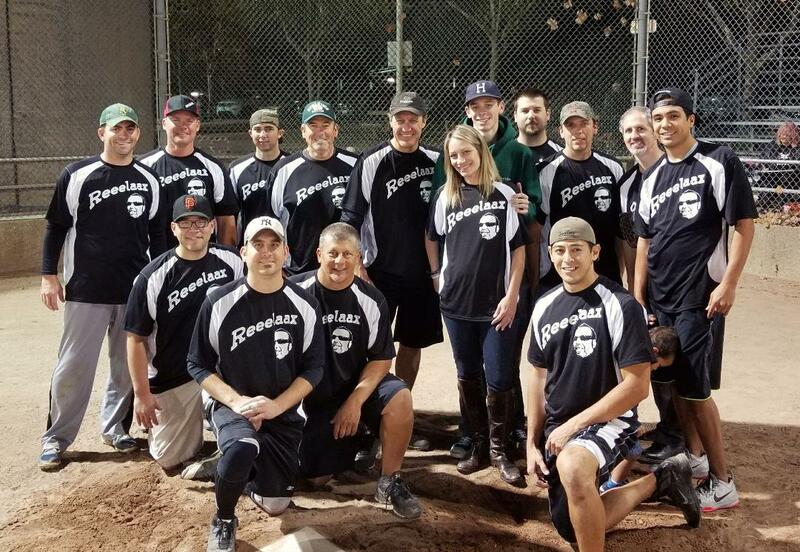 IF there are NO WOMEN'S LEAGUES FORMED in a SOFTBALL SEASON, women ARE eligible to play in Men's Leagues. 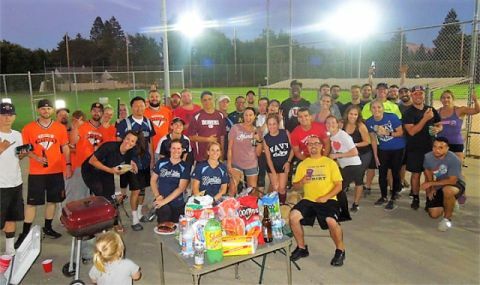 IF there ARE WOMEN'S leagues formed in a softball season, men and women are not eligible for each others respective leagues. EXCEPTION: WOMEN MAY ALWAYS PLAY IN THE OVER 40 LEAGUE FOLLOWING THE SAME CRITERIA AS ALL OTHER OVER 40 PLAYERS. If any team is found to be playing with an illegal player(s) (i.e. player(s) not listed on the official roster, or playing under another person’s name), the previous three wins will be forfeited and the standings will be changed accordingly for that team. Any second offense using an illegal player will result in the teams removal from the league. The win/loss record for all opponents in previous games will not be affected. The City of Walnut Creek and WCASI are not liable for any injuries incurred by players, spectators or officials while participating in or being present at any WCASI sponsored event. Players may not accept money to play. Players must be at least 18 years of age when they sign the roster. EXCEPTION: Players in the Men's Over 40 league must be at least 40 years of age during the calendar year. 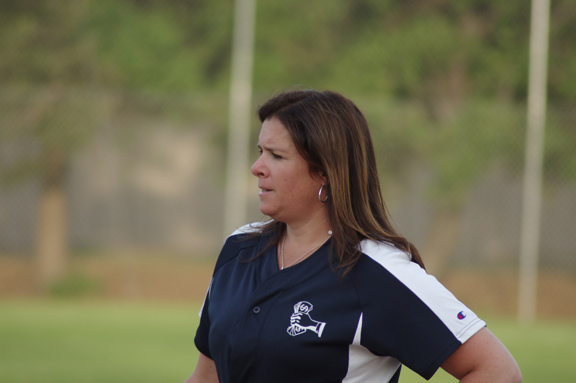 Any USSSA or ASA Major, Class "AA" or Class "A" player may not play in any division lower than "A". EXCEPTION: See coed rules for classification of coed players. Players are required to carry valid identification, i.e. driver's license, ID card, to all games and to show same if requested by any WCASI representative to verify eligibility. Failure to provide acceptable proof of identify at the time requested will be sufficient cause to declare player or players ineligible or illegal. Commissioner, Asst. Commissioner or assigned representative by the Commissioner have final approval as to player qualification and eligibility. The Commissioner with the Asst. Commissioner, or assigned representative, may elect to move and/or disqualify players from participating in a league not suited to the player's skill level. Notification that a protest is to be filed must be given to the umpire at the time of the disputed decision IMMEDIATELY and BEFORE the next pitch. The umpire, upon receiving such notification, shall follow ASA|USA procedures on protests and shall immediately notify the scorekeeper of the protest. The judgement call of an umpire cannot be protested. Protests apply to rules only. Within 24 hours of the conclusion of the game, a written report of the protested rule(s) violated must be filed with the WCASI office. The written protest shall be signed by the team manager or representative. The umpire assigned to the game shall have complete authority over the player, coaches, fans and the game at all times. The umpire shall have the authority to order any player, coach, fan or manager out of the game or off the field for unsportsmanlike conduct. Lack of compliance or further abuse by the individual ejected, either on or off the playing field, will be subject to action by the Commissioner or Asst. Commissioner and/or The Board and could result in expulsion of the offender from the league. No one will question an umpire concerning rules and decisions other than the team manager. An umpire will submit a written report on the ejected individual to the league office within 24 hours. If a player (batter) listed on the turned in line-up card is not present for their scheduled turn at bat, that player (batter) shall be an out each time that player is scheduled to bat in the batting order. Once the player arrives, the player may step into his/her place in the batting order. If you are unsure if a player will show for a game, put them as a SUB on the bottom of the line-up. Once the player (SUB) arrives, the player may be added to the bottom of the batting order. A player who has left the game as a result of an ejection and is not replaced by a substitute shall be counted as an out each time that player is scheduled to bat in the batting order. The scorekeeper shall notify the umpire when the ejected player's turn at bat occurs. Injured players may be removed from the game with no penalty and they may not return to the line-up during the course of the game. Abuse of the injured player rule may result in forfeiture of the game. No team shall leave the field during progress of play or refuse when directed by the umpire to continue play, under penalty of forfeiture of the game. Only rostered players, coaches and managers are allowed on the field and in the dugout. All spectators, including the children of participants, shall be kept off the field and out of the players' dugout at all times. The manager of every team will be responsible for the conduct of the players before, during and after every scheduled game while on the recreational facility. In addition, the manager of every team will be responsible for the conduct of anyone related to that particular team. This includes players, coaches, assistant managers and fans. The basic rules of play will be the current edition of ASA|USA rules with local modifications. All registered teams will be issued an ASA|USA rule book. Length of game: Seven innings or 1 hour and 5 minutes, whichever comes first. No new inning will begin 1 hour after the official starting time, but all innings started will be played to completion. EXCEPTION : In the event the lights go off during the game, or other circumstance preventing the game to be played to completion, the score will revert back to the completed previous inning and the game will be considered completed if a minimum of 45 minutes have been played. This will apply only if the home team has not scored more runs than the visitor at the time of the called game. PLAYOFFS: In the event the lights should go out, or any other unusual circumstance should prevent the game from being completed on the same day, the Commissioners office may reschedule at the convenience of the league. THE MEN'S "C " PROGRAM, THE OVER 40 COMPETETIVE (EAST), and THE MIXED (COED) "C" (EAST) WILL BE ALLOWED ONE (1) UNASSISTED HOME RUN PER TEAM PER GAME. After the first and only allowable home run, the following home run(s) will result in END of INNING for the team at bat, dead ball, and no runners advance. The game will continue as if the batting team incurred three (3) outs. By definition: “UNASSISTED HOME RUN” is a ball which may pass through or over the fence on ball field #3, only. If a ball comes back into play it is to be considered a “live” ball and playable. “UNASSISTED HOME RUNS” ARE NOT ALLOWED IN THE MEN'S "D" PROGRAMS, THE OVER 40 RECREATIONAL (WEST), MIXED (COED) “WEST” PROGRAMS, or in any "C"/"D", EAST/WEST split game. The 1st home run for MEN’S “D”, OVER 40 WEST, MIXED (CO-ED) WEST, or “SPLIT Division” game will result in an OUT, dead ball and no runners advance. If more than 1 home run occurs, ALL FOLLOWING (2nd, 3rd, etc.) HOME RUNS will result in END of INNING for the team at bat, dead ball and no runners advance. The game will continue as if the batting team incurred three (3) outs in that inning. Any violation (abuse) of this rule may subject a player to ejection as well as team forfeiture. Run Rule- If a team is trailing by 15 or more runs after 5 completed innings of play, the game will be called as completed. All games may begin prior to the scheduled starting time if all officials are ready and both managers give their consent. The official's watch will be considered official time. When a base runner is attempting to score a run from third base, and has touched or passed the two-thirds commit line, the defensive team need only touch home plate with the ball in their possession in order to make the out. If the base runner has touched or passed the two-thirds commit line, he/she must continue to home plate and cannot return to third base. EXCEPTION : Base runner may return on a caught fly/foul tag-up situation. A scoring line will be used in ALL WCASI LEAGUES. NO TOUCHING HOME PLATE to SCORE. Players are required to score by crossing over the scoring line and making contact with the ground. The out can only be made by the defensive player touching home plate before the runner crosses over the scoring line and makes contact with the ground. If a runner touches home plate, the runner will be out. If a runner runs through the batter's box, when there is a play at home, the runner will be out. When scoring, stay away from home plate and the batter's box. EXCEPTION: A player is allowed to touch home plate in a dead ball situation. NO TAGGING at the plate.The purpose of this rule is to prevent any physical contact between the catcher, or defensive player, and the runner.The runner is expected to veer to the far right of home plate. If, in the umpire's judgment, the runner attempts to distract or intimidate the catcher (or defensive player making the play) by running too close to home plate, the runner will be called out. A minimum of 8 defensive players and a maximum of 10 defensive players may be positioned on the playing field. A courtesy catcher must be provided if a team has only eight players. EXCEPTION: The Men's Over-40 may have a maximum of 11 defensive players. A maximum of 20 players may bat. Once the batting order has been established, any player on the original batting order, not listed as a substitute, may enter the field defensively as many times as desired. All players listed on the batting order must bat. Late arrivals can only be added to the bottom of the batting order up to the end of the 4th inning. After the completion of the 4th inning, late arrivals can be added to the SUB list at the bottom of the line-up card.